This snowshoe trail leads close to the Gornergrat Bahn railway line from Gornergrat down to Rotenboden. 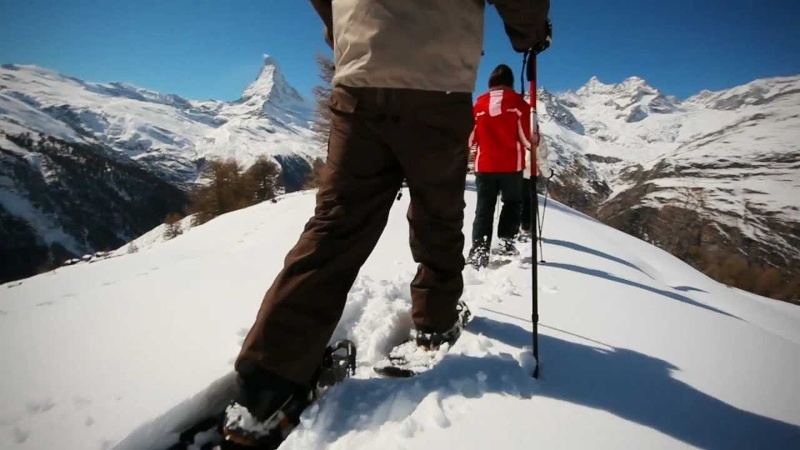 Sparkling snow, sunshine and a magnificent mountain panorama with the Matterhorn promise a memorable hike. Especially after fresh snowfall, this walk promises pure pleasure. 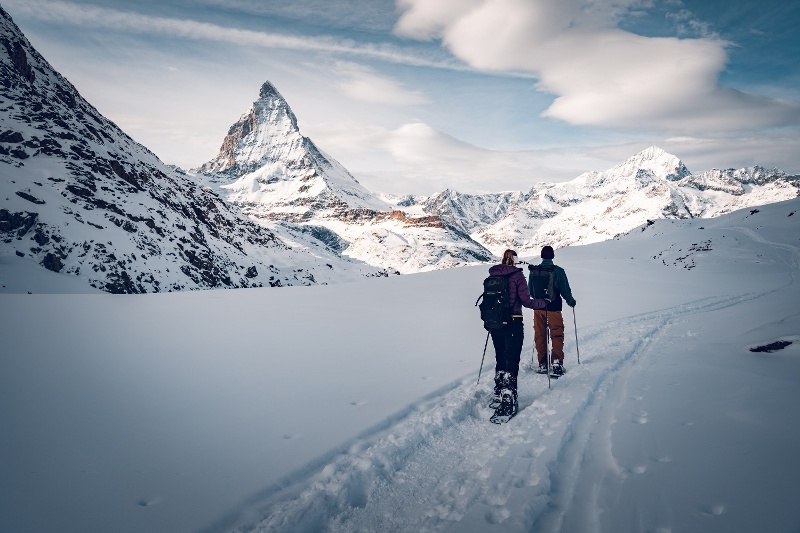 Hikers following the leisurely trail barely notice the descent of about 300 vertical metres, so beautiful are the mountain vistas – taking in the Matterhorn, Klein Matterhorn, Breithorn and other peaks. Railway enthusiasts are also in for a treat, with fine views of the cog trains of the Gornergrat Bahn as they twist prettily and almost silently through the snow-blanketed landscape. If you have not had enough of snowshoe hiking, you can continue along the Panorama Trail to Riffelberg.